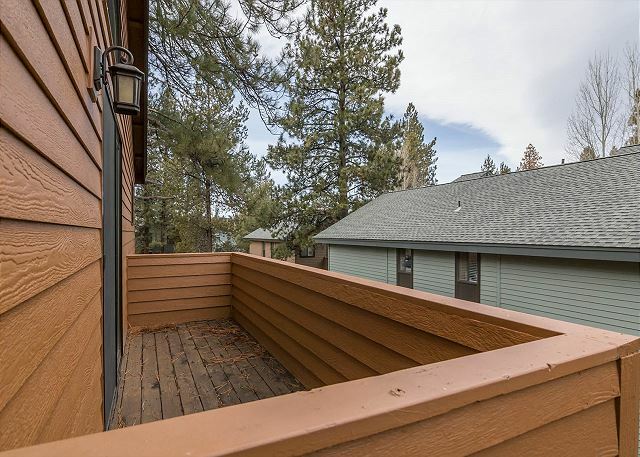 Located in the Sunriver Business Park, this 2 bedroom/2 bath condo provides an HD TV in the living room and comfortable sofas to gather with family and friends. The fully stocked kitchen in this upper level condo has a dishwasher and microwave. The dining area is conveniently located between the living room and kitchen area. 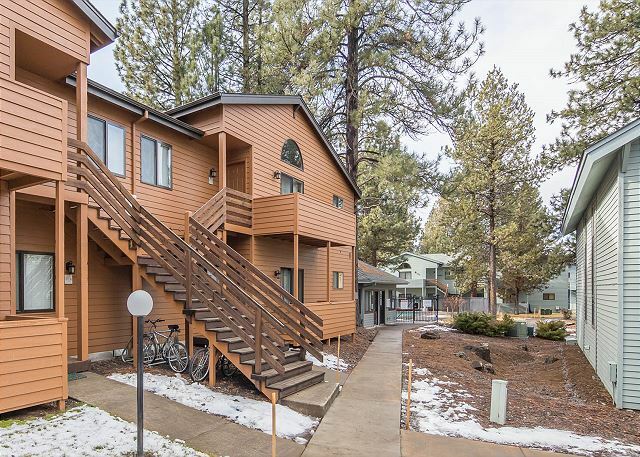 3 Queens, 1 Queen Bed, in Loft, 3TVs (1 is HDTV), 2 VCRs, 2 DVD players, D/W, W/D, microwave, gas BBQ, upper level unit, seasonal access eo condo hot tub and pool, located in the Sunriver Business Park, 940 sq ft. Thank You for the 5 star Review, Lindy! Glad you thought the condo was great! We hope to host you again! 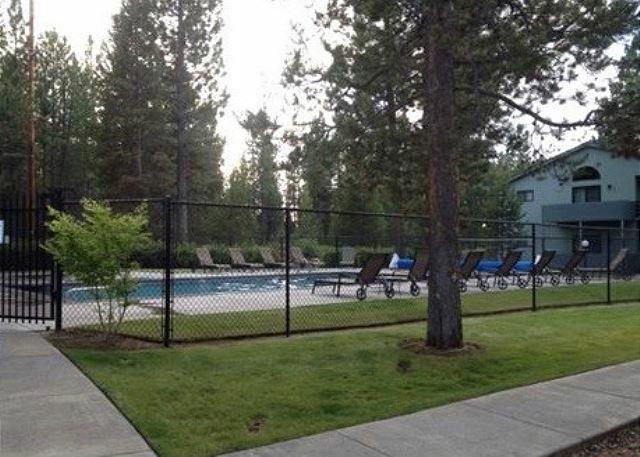 Our family has been coming to SunRiver and Powder Village Condominiums since our children were little. They are now adults and still want to stay at PVC. We love having the pool on-site and the amenities of PVC. Our condo was clean and comfortable and we loved having a third “bedroom” in the loft. Thank you Shannon for your kind review! We sure enjoy our repeat customers and happy people always make us smile. So glad to have you as part of the family!! I've stayed here several times and enjoy the condos. One thing that I didn't like was that there wasn't any air conditioning and the weather was very hot. It would have been nice to be told upfront because I have health issues and need air conditioning. Thank You for your review, Deborah. Happy to hear that you enjoy the condos at Powder Village and we hope to see you again. 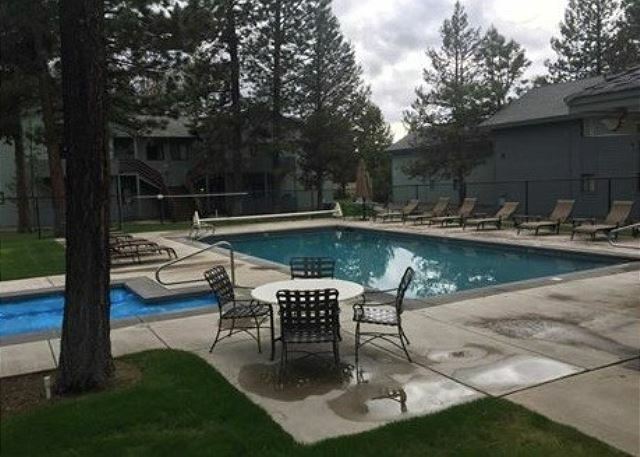 This condo is not advertised as having A/C and less than 20% of homes in Sunriver do have air conditioning, in the future just let us know that this is something that you need and we will search for a property that fits your needs. We hope to see you again! Family of 4 in town for a summer soccer tournament. 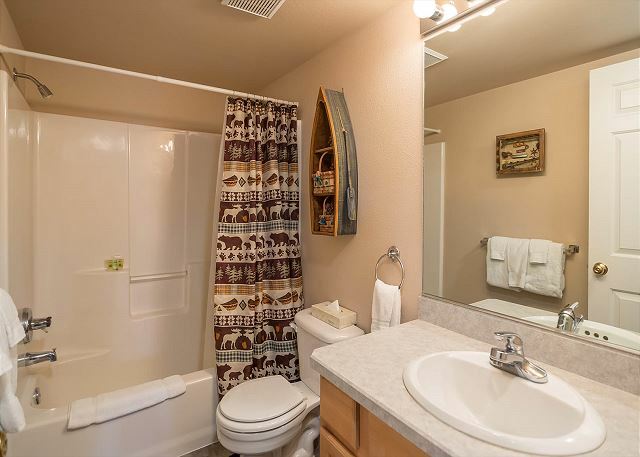 VERY clean, non-smoking / no pet unit. Condo was a perfect fit for us. Having 3 beds (one in a loft), 2 bathrooms, laundry & kitchen in the unit made for a much more relaxing week. The pool & hot tub were great for downtime. The only issue we encountered was that batteries had been removed from tv remotes, rendering the living room set un-usable. Would definitely recommend this unit. Just what we needed-close to the amenities of the Sun Valley Resort without the "busyness". Only downside were some non functional lighting and,the one time we tried the TV, NO audio! Thanks for this great feedback, Carol. If ever there is ANYthing not working or below standards in the home, please let us know right away so we can fix it and not have you inconvenienced in any way. 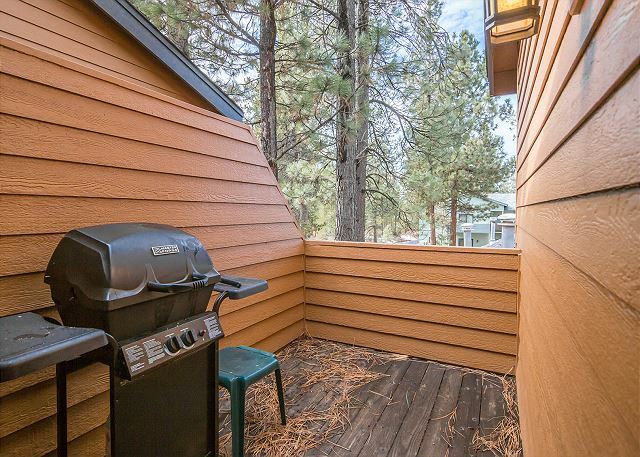 We want you to get the very most from your visit to Sunriver! Hope to see you back again soon. We had a fabulous time spending our family vacation in Sunriver. We loved our condo and all the accommodations that came with it. Family bike rides, pool time, hiking and sailing down the Deschutes. Can't wait to do it again! So easy to enter and lock. Nice having the pool and hot tub right on site. Great location central to everything. Very good experience. Only complain is that cooking Pan were in bad condition. We enjoyed our very cute and clean condo. It was close to everywhere we wanted to go. Our little condos are really convenient for our guests and we are SO glad Powder Village I2 worked well for you!! Please hurry back and don't forget about your rebooking discount for Summer 2016! We had a wonderful time in staying in this condo. It is very close to all the main attractions.. The place was nicely kept, six people can accommodate very easily with LOFT giving extra space besides the two rooms.